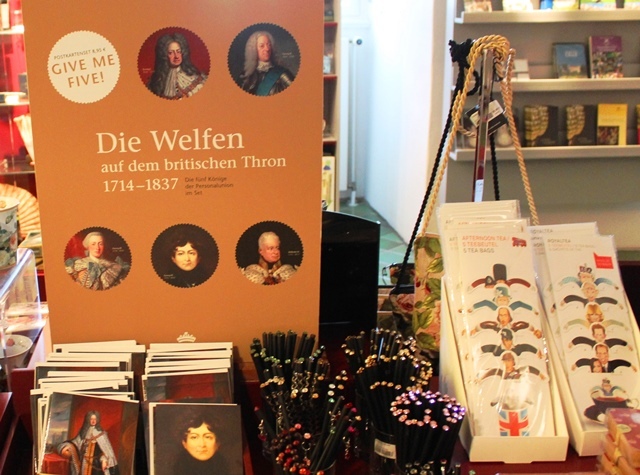 If you’re British you’ll probably know about the House of Hannover (German: Hanover) from school history lessons or elsewhere but, if you’re like me, you may only have a vague notion of why and how we got a king from Germany in the early 18th century. It was due to the lack of an heir to the Stuart Royal Family. Their last monarch was poor Queen Anne who had 17 pregnancies yet no child outlived her. She was therefore succeeded by her second cousin, Protestant George I (1660-1727) of the House of Hannover, who was a descendant of the Stuarts through his maternal grandmother, Elizabeth, Queen of Bohemia, a daughter of James VI and I.
I recently visited in Hanover (Hannover), a dynamic northern city in Lower Saxony, to find out more about the history of the British Crown in Germany. The city is a vibrant mix of old and new, the centre having been almost totally rebuilt after WWII. Arriving at Hanover Railway Station from the airport, first impressions are of fresh air, space and lively, friendly people. 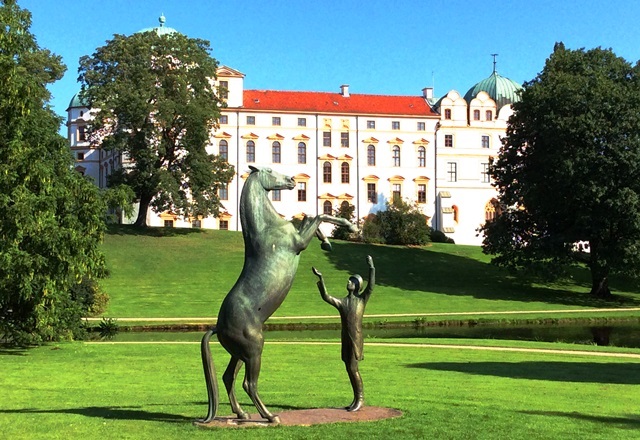 I started my exploration with a visit to the Royal Gardens of Herrenhausen, one of Hanover’s most famous attractions. 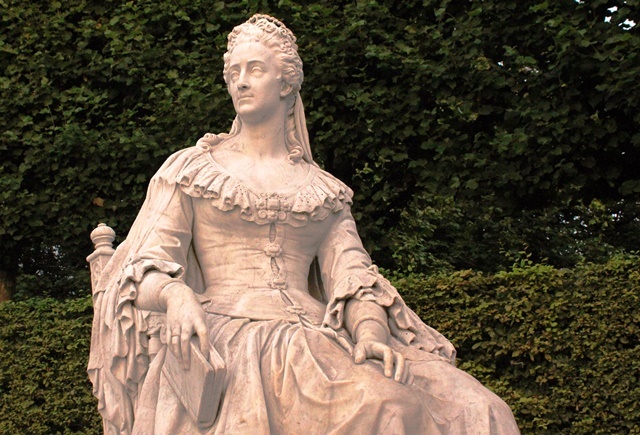 The Great Garden, a baroque gem, was created by Sophie, Electress of Hanover and mother of George I. She loved this horticultural sanctuary and walked in it whenever possible. This marble statue is near the very place where she died, two months before Queen Anne passed away. Had she lived, she would have been Britain’s first Hannoverian monarch. 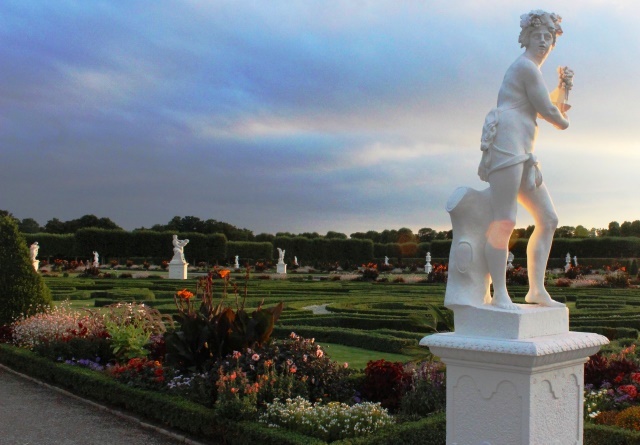 With exquisite planting and flamboyant statuary, Herrenhausen is a delight to stroll round. I was fortunate to visit on a warm late summer’s evening for the Glowing Gardens event when the many fountains and cascades are lit up, classical music and the heady scent of thousands of flowers fills the air. As the sun set the garden glimmered in a soft haze and it was easy to imagine artistocratic courtiers following the queen as she inspected her creation and was pleased with what she saw. 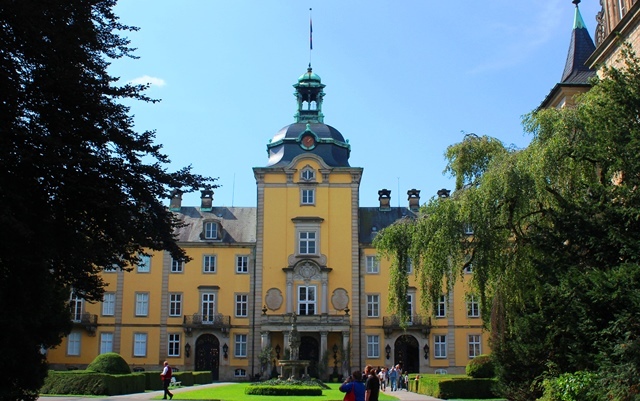 My next stop on the Royal Heritage trip was Celle Castle, about 45 minutes by train from Hanover. I was met by Irina, who was to be my guide for the morning. The oldest parts of the castle are from the 13th century – Irina showed me a piece of ancient wall in the ladies loo! Its beautiful facade glows white, in the heart of the town, which is riot of medieval half-timbered houses dating back over 500 years. 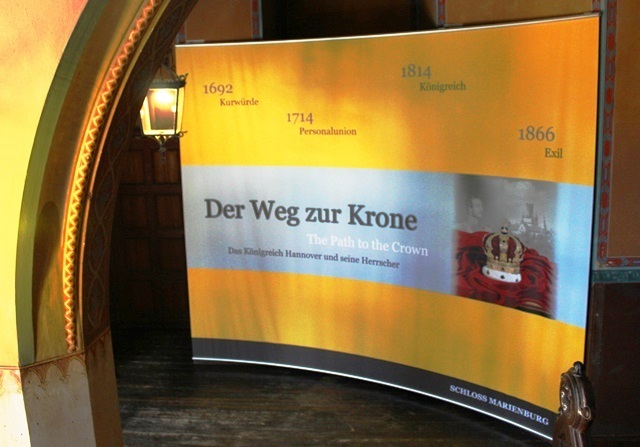 Irina was a walking Wikipedia on the Guelph Dukes of Brunswick-Lüneburg, the oldest princely house in Europe, explaining the links between this family and George I. His father, Ernst August, lived here, as did his wife Sophie. George married his cousin Sophia Dorothea of Celle, daughter of George Wilhelm of Brunswick-Lüneburg. It ended badly; she had an affair and was exiled whilst her husband went across the water to be King of Great Britain. 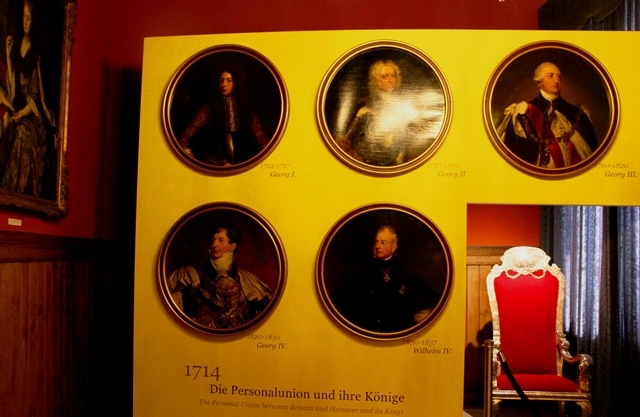 Highlights of my tour of Celle Castle included the beautiful State Chambers with lovely stucco carvings and crystal chandeliers, a pair of regal thrones, the Royal Bedchamber and some very fine paintings. The Court Theatre has been restored and plays are performed here throughout the season. 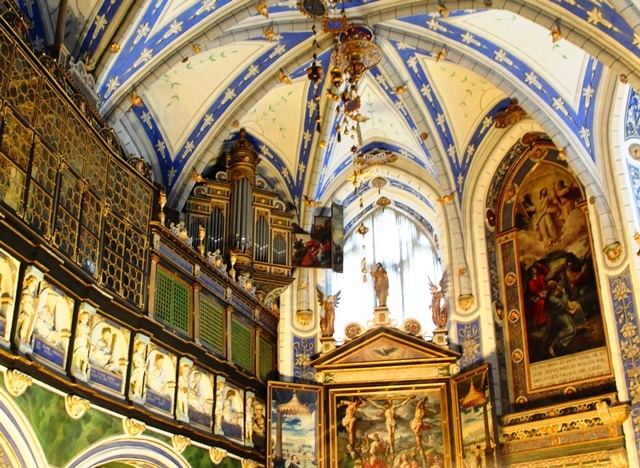 There’s a very impressive Renaissance Chapel with stunning artwork and a delicately arched blue and white ceiling. 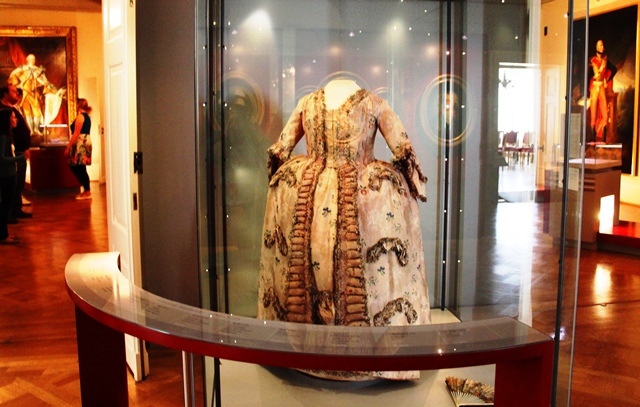 What most impressed me were the many portraits and objects belonging to the Hanoverian Royal Family in what, to most of us in Britain, is a relatively unknown, truly beautiful castle. 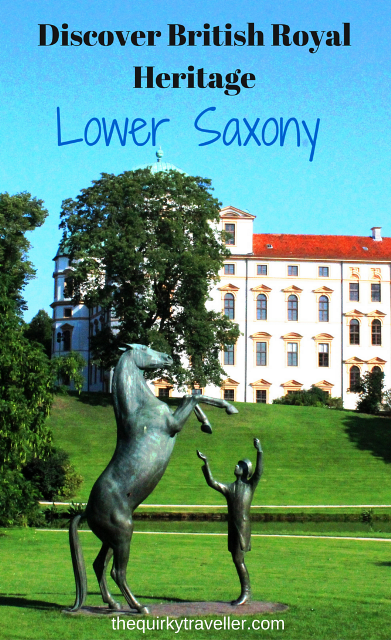 Beautiful Celle Castle & historic town in Lower Saxony, Germany from Zoe Dawes on Vimeo. The following day I made my way to Bückeberg Castle in the heart of Lower Saxony countryside. (I saw rather more of this fertile countryside than originally planned as I hired a car and the SatNav took me the scenic route rather than via the Autobahn!) As far as I could see, this Renaissance castle, belonging to the House of Schaumburg-Lippe for over 700 years, has no direct link to the Hanoverians but is a superb architectural masterpiece with very fancy decor. I joined a tour group whose leader only spoke German so I had time to admire the elaborate furnishings and gold embellishments without knowing exactly what I was seeing. It didn’t matter. The whole place is like a giant cupcake, highly decorated, rich and delightfully OTT. The Renaissance Inner Courtyard with its ornate Chapel, the airy 17th c White Hall, the breathtaking Banqueting Hall, the bright Yellow Hall and tapestry-covered Gobelin Hall are amazing, but nothing prepares the visitor for the opulence of the Golden Hall. 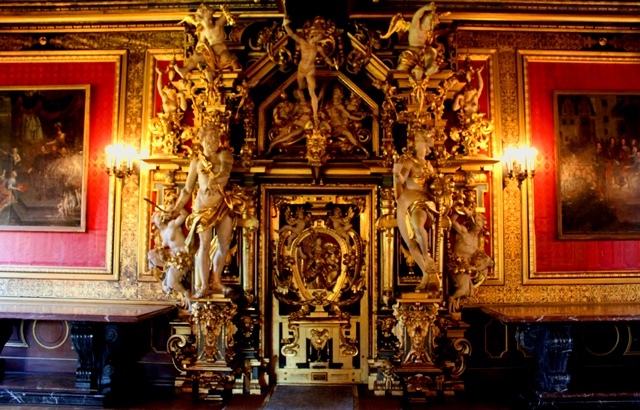 As its name suggests, it is lavishly decorated in gold, its crowning glory the Heavenly Gate, a lavishly adorned doorway replete with gilded figures and a veritable cornucopia of twirls, curlicues and flourishes. Back in Hanover I went for a walk, following The Red Thread, a great way to see more of the city on foot. ‘The Red Thread is painted on the pavement, is 4200 metres long, and weaves its way through the inner city joining up 36 prime attractions.’ After a stroll around the Old City, well-restored to reflect its medieval history, I passed the Leine Palace, housing the State Parliament of Niedersachsen (Lower Saxony). Sophia of the Palatinate, later Electress of Hanover, lived here and her son, King George I, who died near Hanover on a visit, was buried here. His remains were moved to the chapel at Herrenhausen after World War II when the Palace was bombed. The final stop on my regal Hannoverian odyssey was to Marienburg Castle, a magical Gothic-Revival confection of turrets and towers on the south-west slopes of Marienberg Hill, about 20 miles from Hanover. Designed by blind King George V, the last monarch of the Kingdom of Hanover, and built for his wife, Marie of Saxe-Alteburg between 1858 and 1867, it was hardly lived in by the family, due to the outbreak of war with neighbouring Prussia. I was met at the impressive entrance gate by Andre Mertens, who showed me round and was both highly knowledgeable and extremely patient with all my questions. It’s a fascinating castle, magnificent yet somehow ethereal with an intriguing history. It’s still owned by the Guelph family, Prince Ernst of Hanover and his son Ernst August, who is active in the running of Marienburg Castle. Its interior is as charming as its exterior, but what is especially interesting is the ‘Path to the Crown‘ Exhibition, which has been extended until the end of 2016. 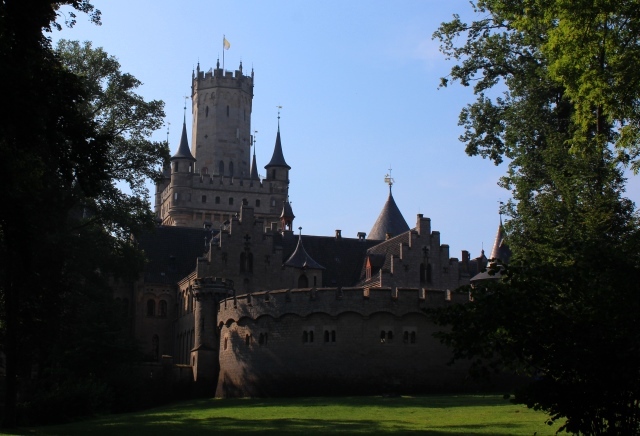 You can read the moving love-story of Marienburg Castle here. 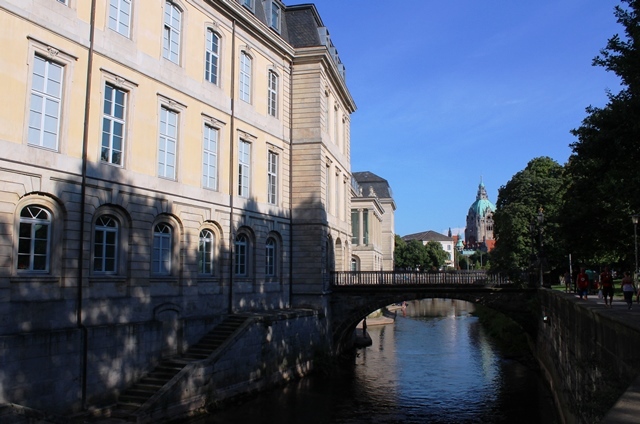 I stayed at the Grand Hotel Mussmann, a chic hotel in the heart of Hanover, as a guest of the German National Tourist Office and the Lower Saxony Tourist Board. Many thanks to everyone who helped make this such a memorable trip. If you like culture, cities, castles, romance and discovering somewhere new, go to Hanover and explore – you’ll love it. Make sure you don’t miss latest travel articles – get The Quirky Traveller RSS Feed here. 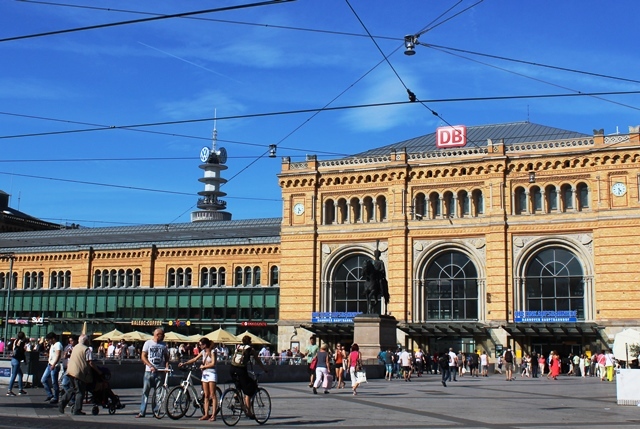 It is so easy to get over to Hannover – only 1hr 15 minutes from Manchester Airport – and makes a great weekend destination, whether you are interested in culture or just looking for a lively, interesting weekend break. I’m certainly hoping to return as there is a lot I didn’t get to see in the city. What is the best time to take photographs in Hannover? Hannover looks like a good city for a long weekend. 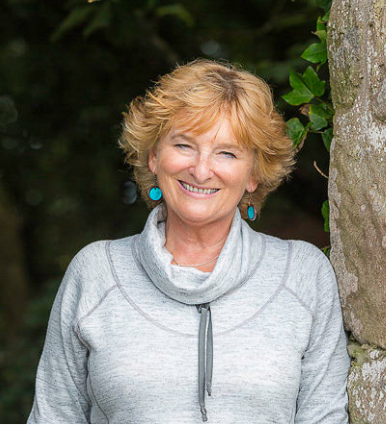 Be interesting to see else there is to see and do apart from visiting the Royal connections. Yes, John, Hannover is an fascinating city and there are definitely lots of things to do on a weekend break. 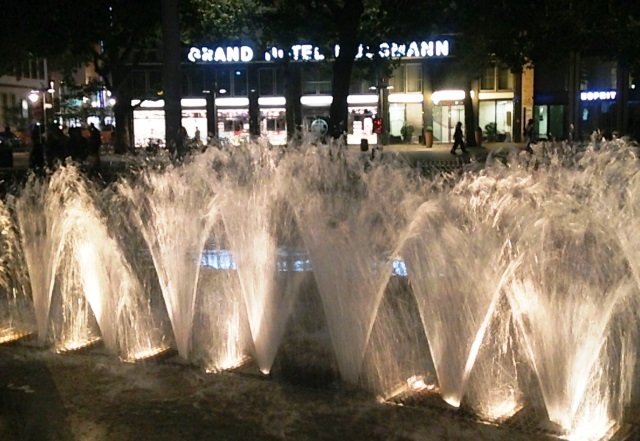 With a huge wooded park for walking, Maschsee Lake for water sports, museums, art galleries, interesting architecture, theatres, good shopping, a wide selection of restaurants, bars and cafes, lively club scene and excellent transport links it’s got a lot going for it. 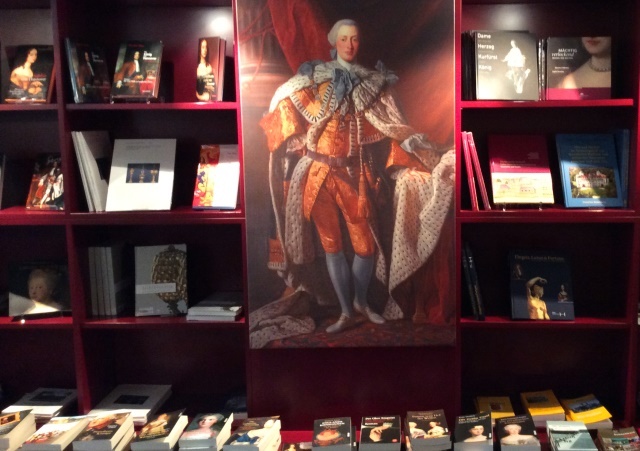 Interesting to see where you went and what you did – obviously a good place for anyone who loves history and royalty.